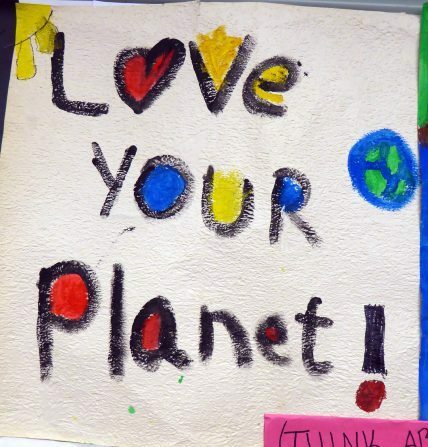 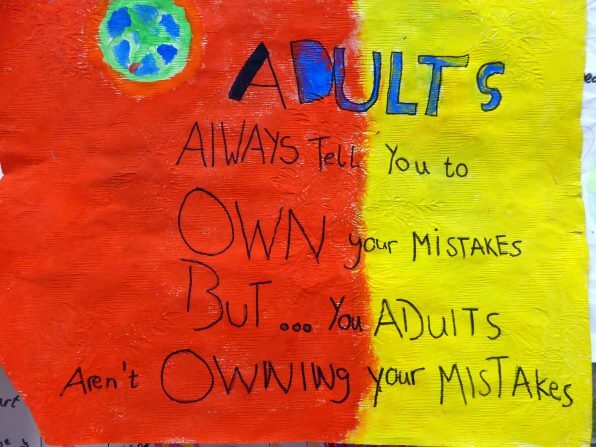 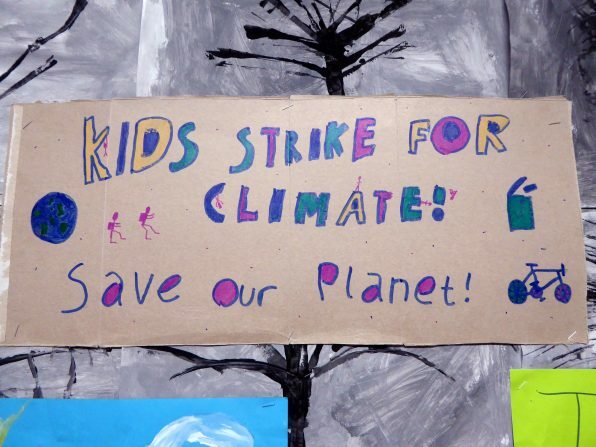 Greta Thunberg, a 16 year-old Swedish climate activist, who has led lone weekly climate strikes that have since become a global movement, called on everyone to join a global climate strike on Friday 15th March. 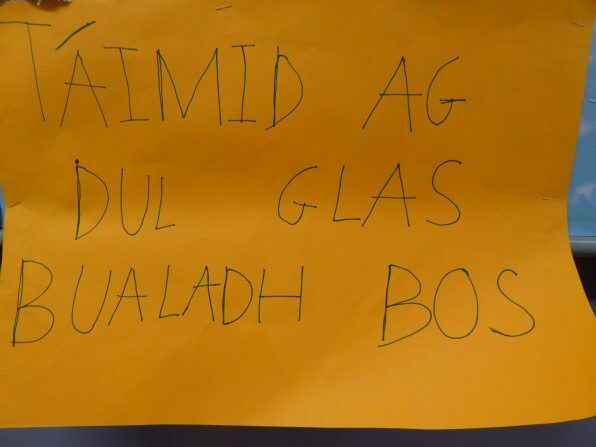 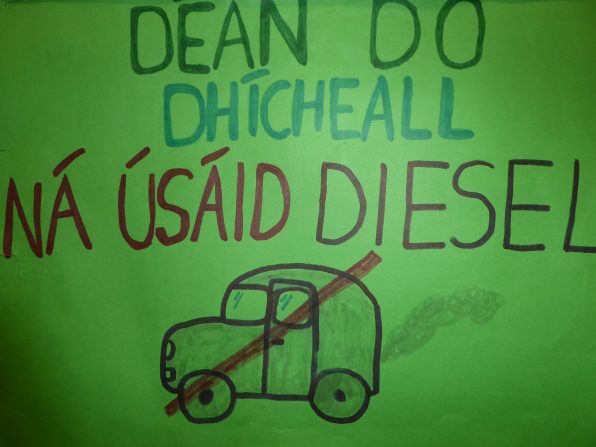 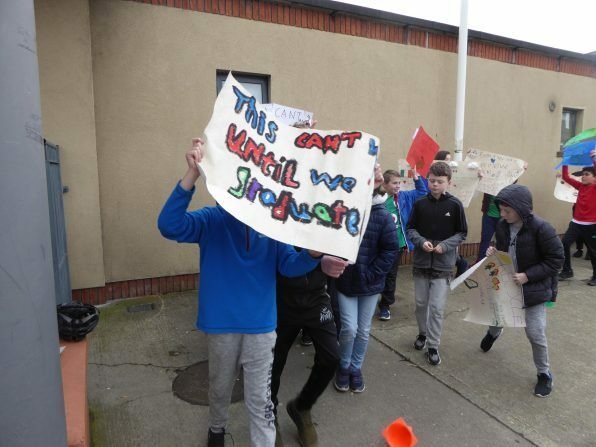 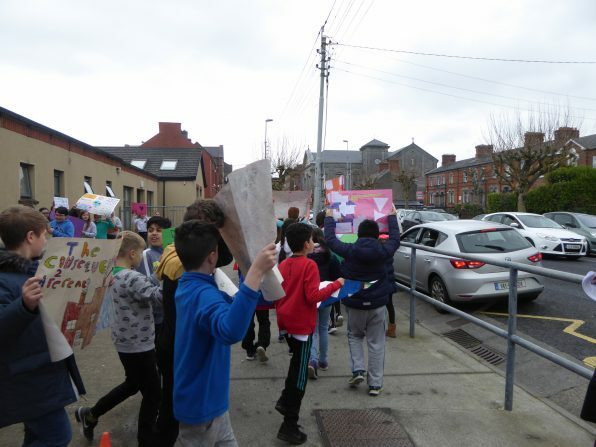 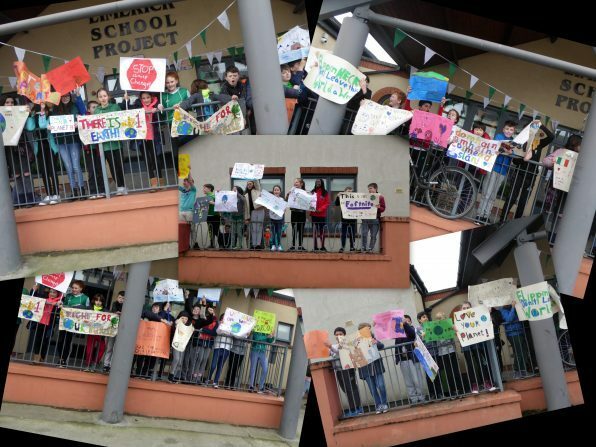 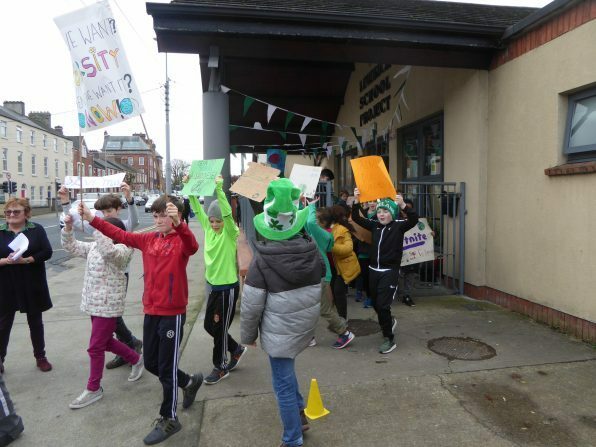 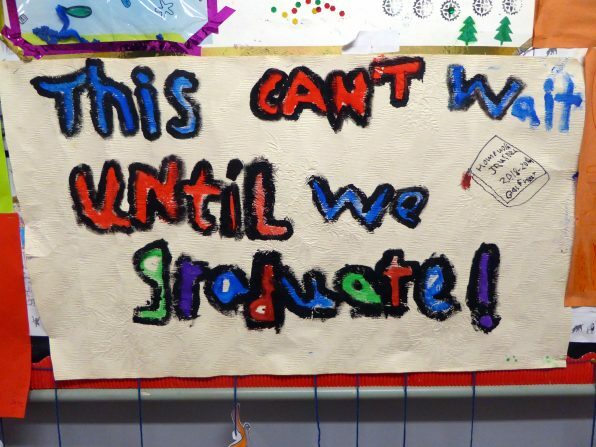 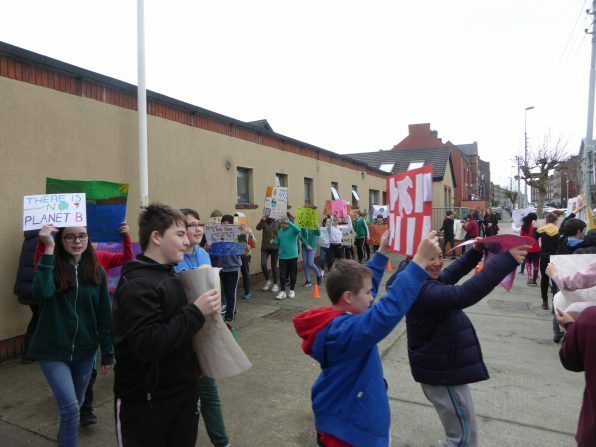 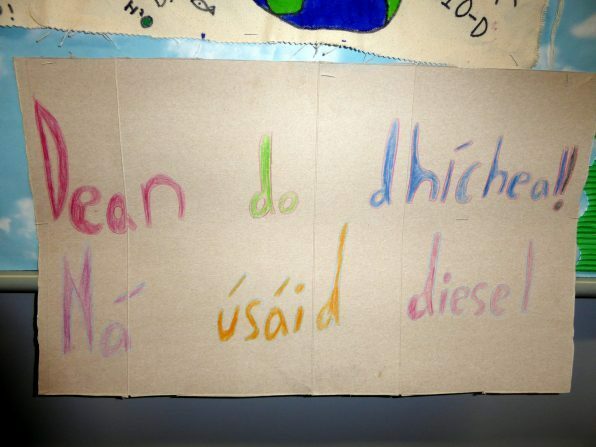 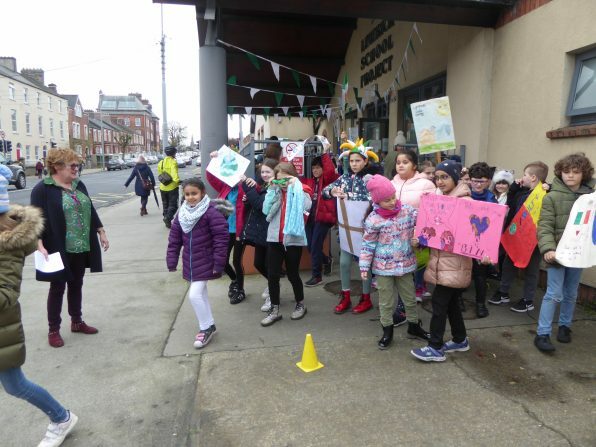 Students from 3rd to 6th class answered the call and took part in the strike for a hour last Friday. 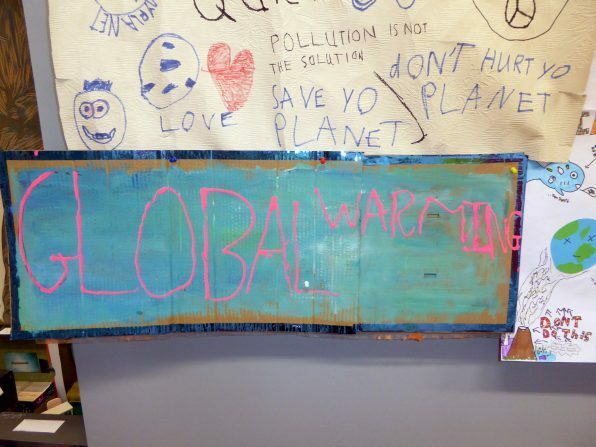 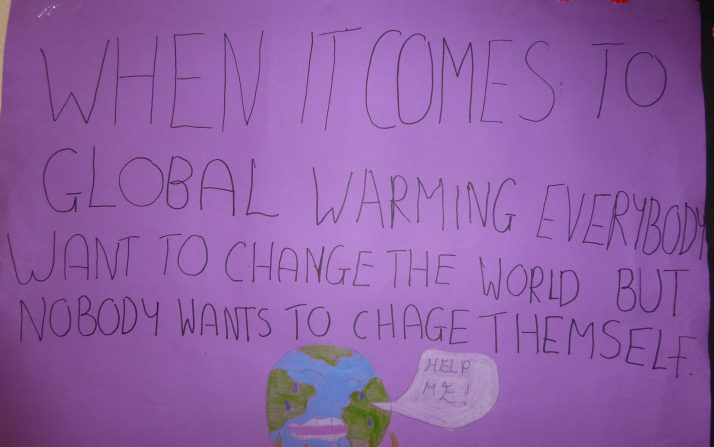 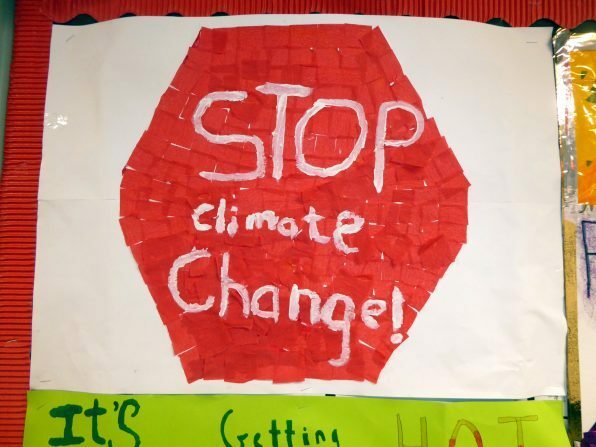 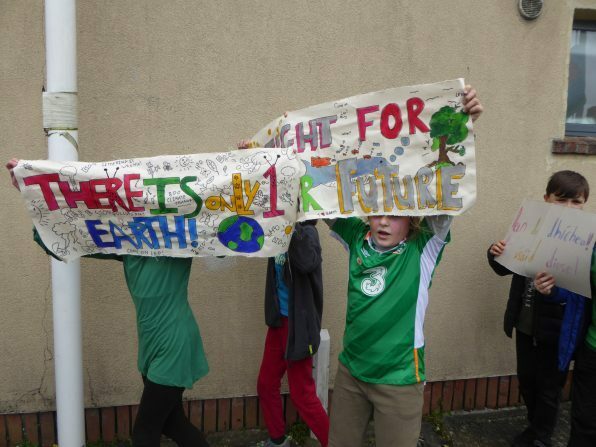 The protest was led by our students striking from school to call for #ClimateActionNow to meet the temperature goals of the 2015 Paris Agreement . 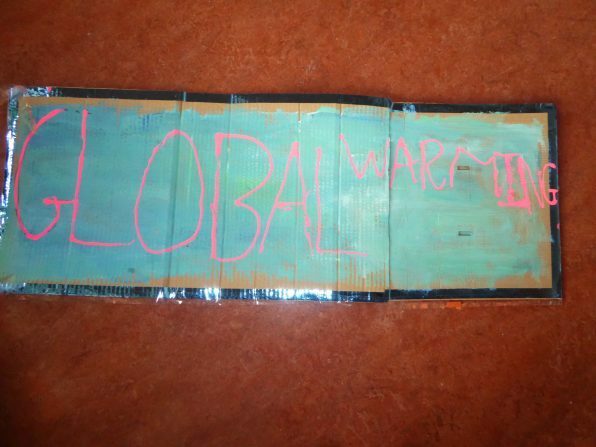 This protest is about Climate Change. 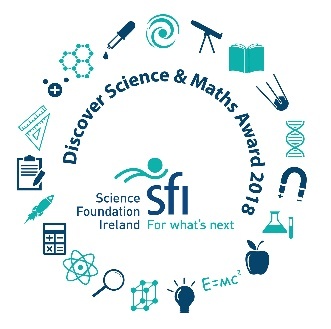 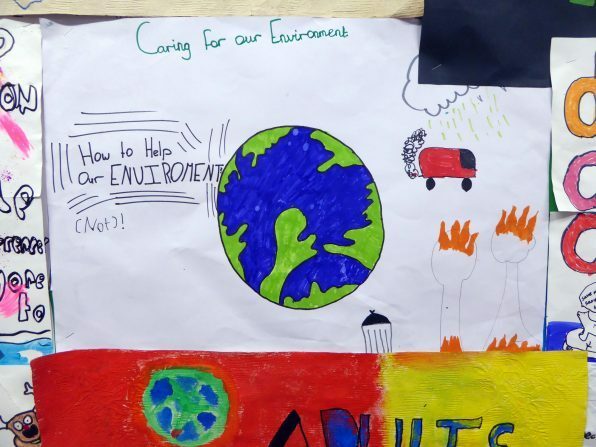 Any action that we can take in LSP to provide our pupils with opportunities to increase their awareness of global and environmental issues shall be acted upon. 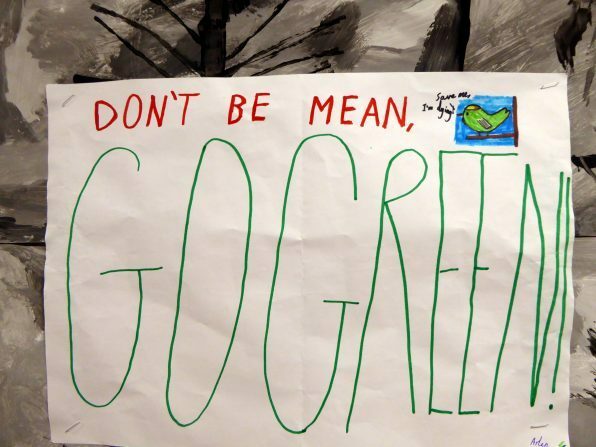 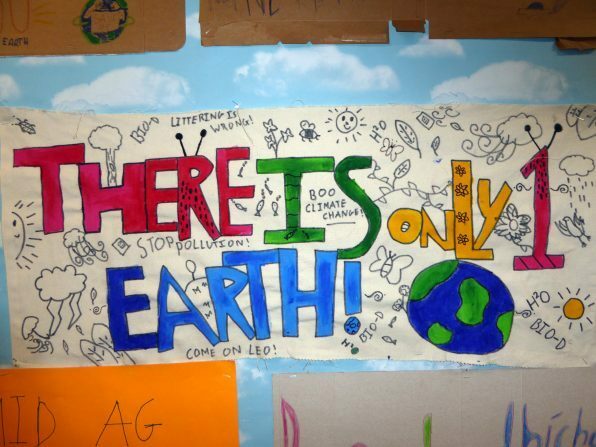 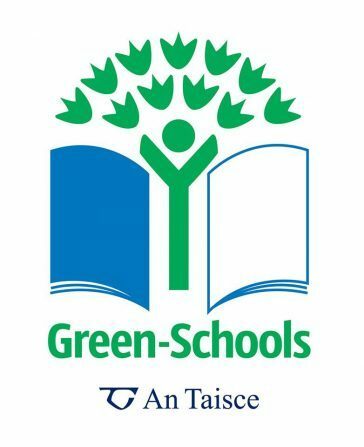 We are a Green School. 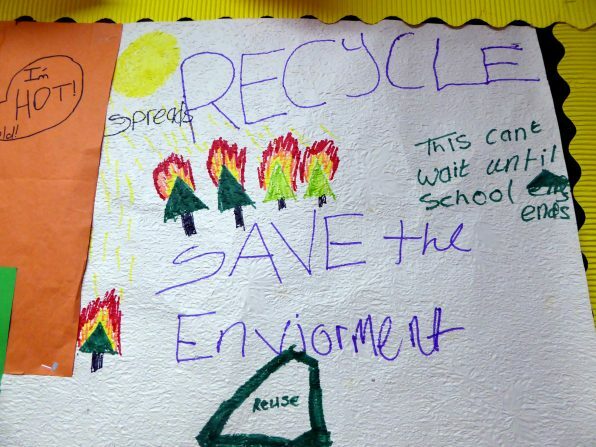 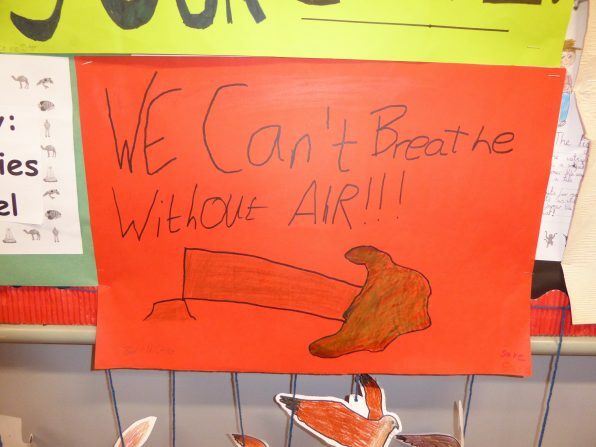 Green-Schools is holistic. 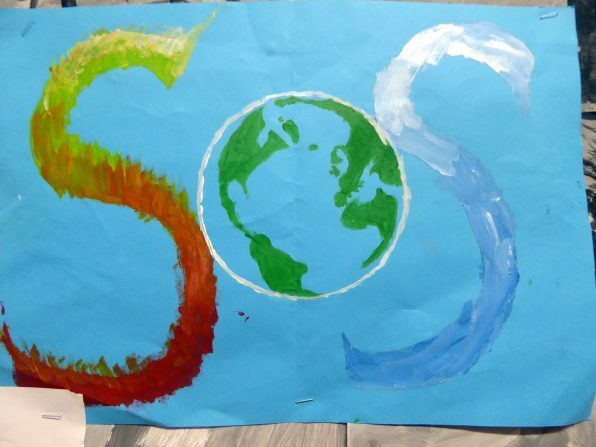 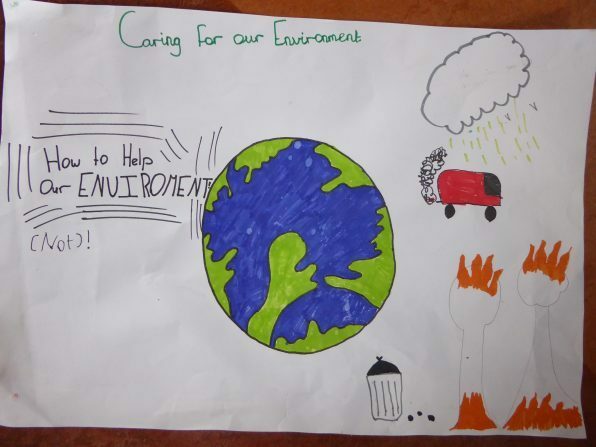 It aims to make environmental awareness and action an intrinsic part of the life and ethos of a school. 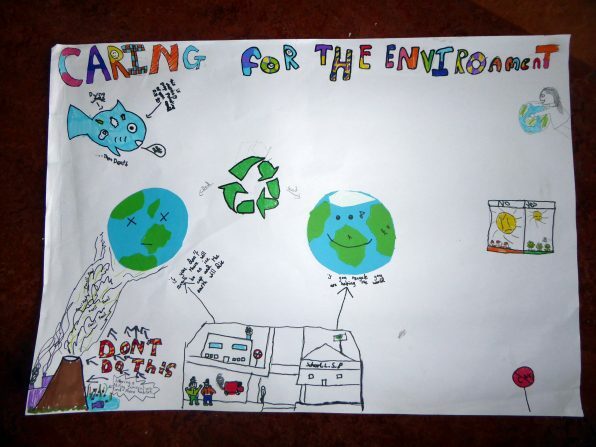 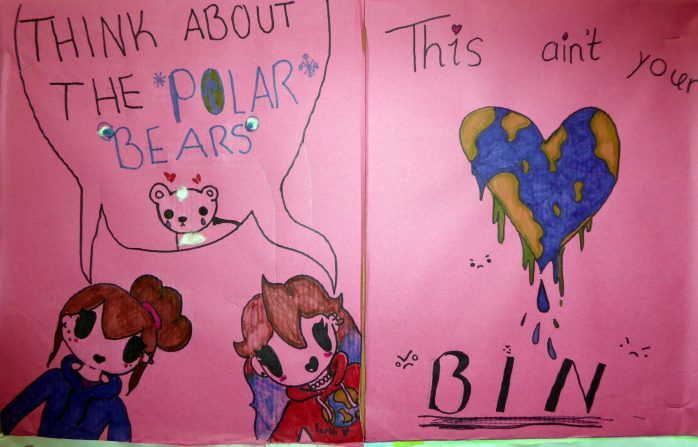 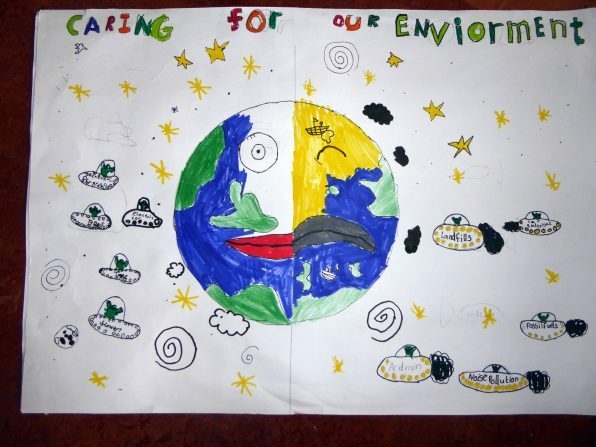 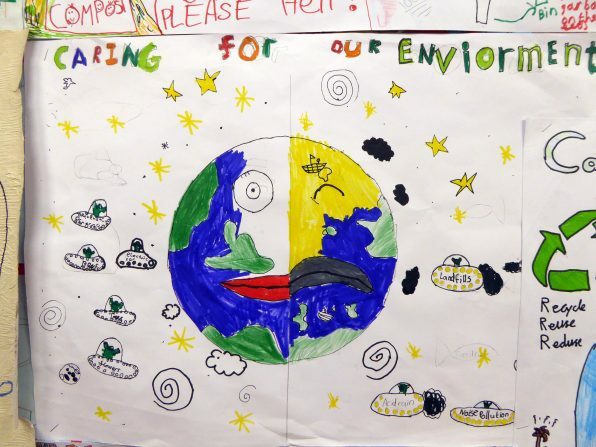 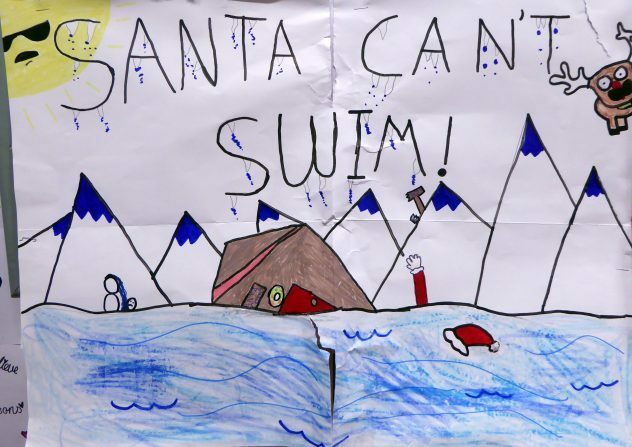 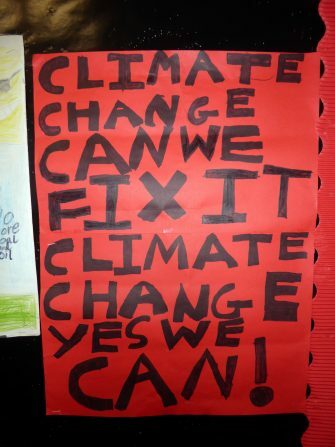 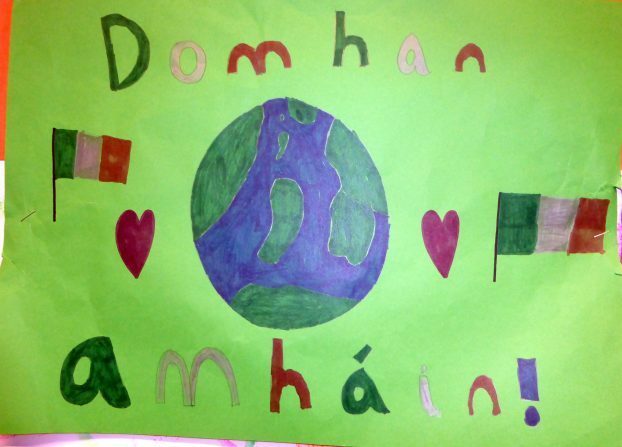 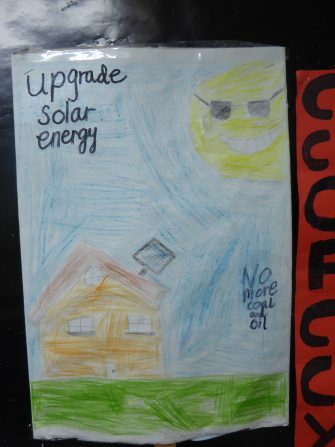 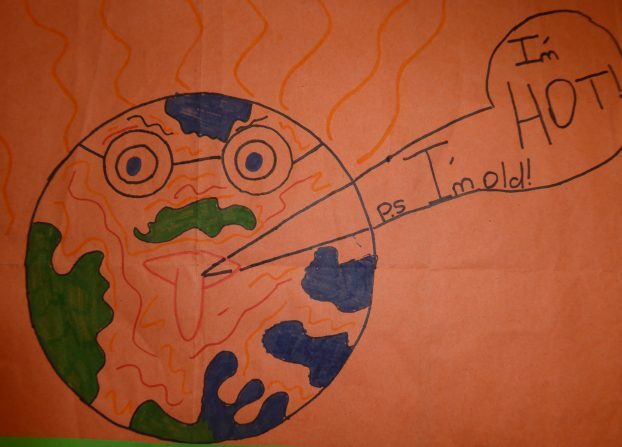 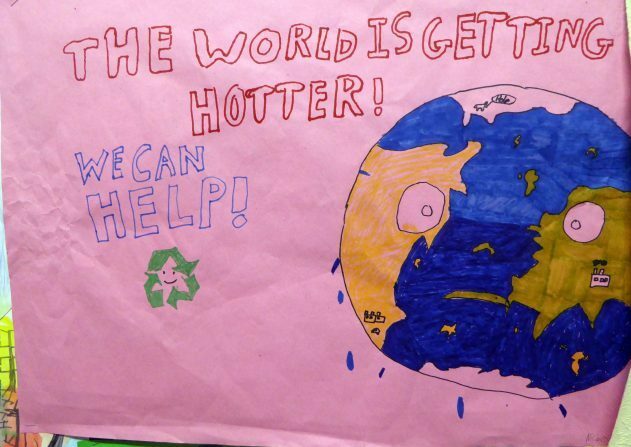 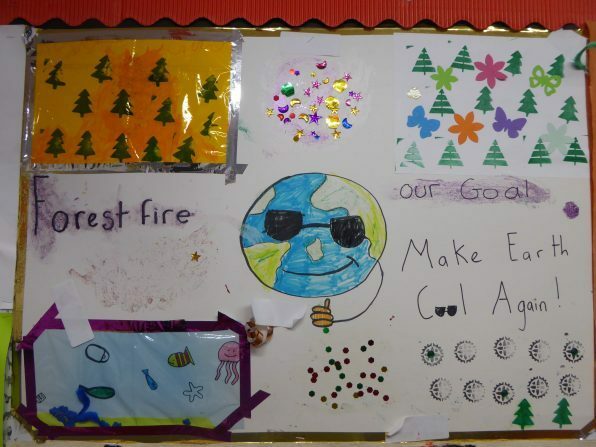 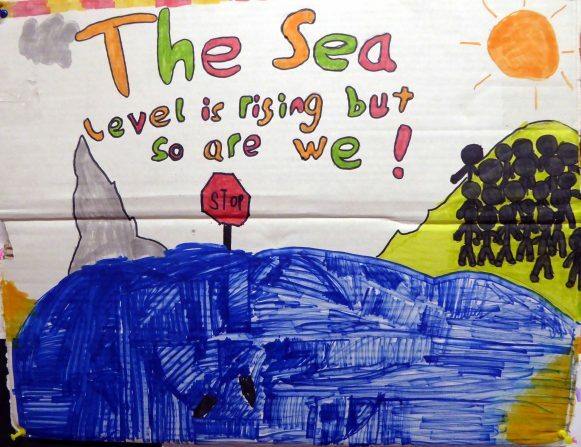 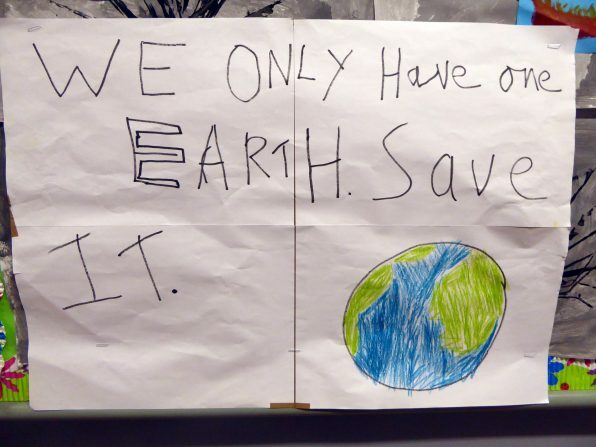 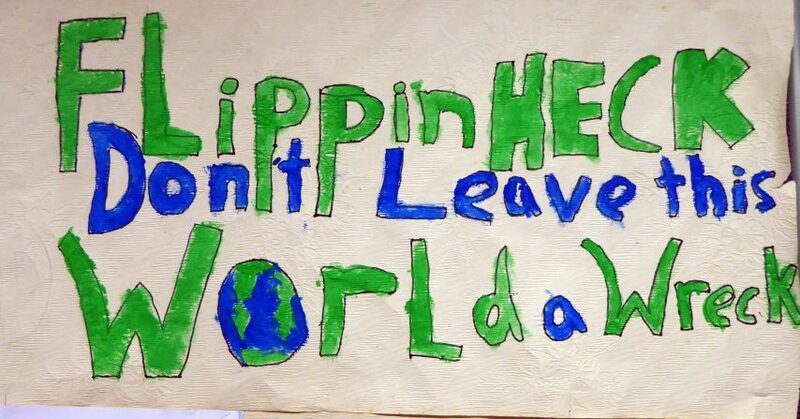 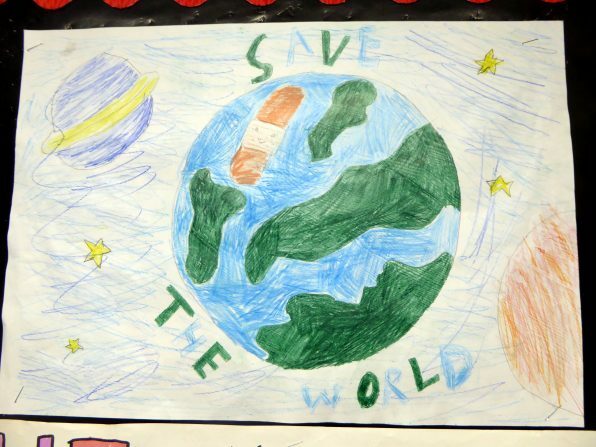 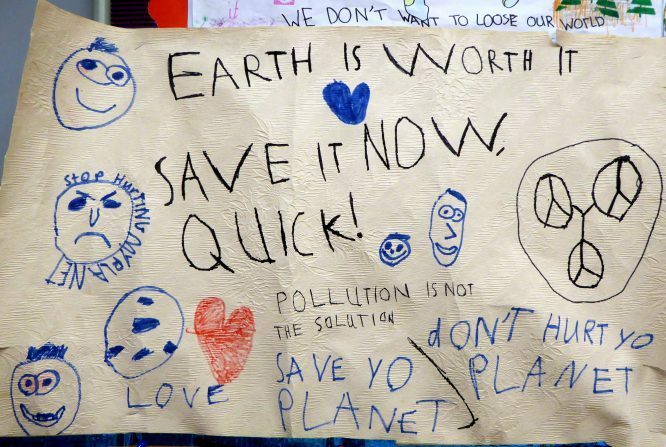 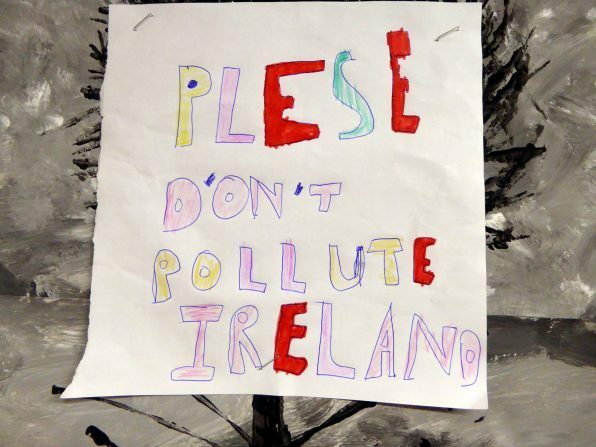 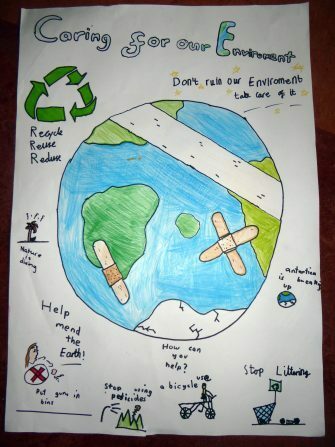 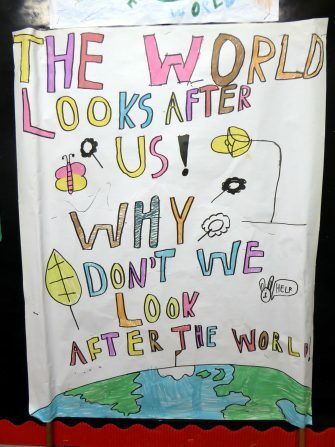 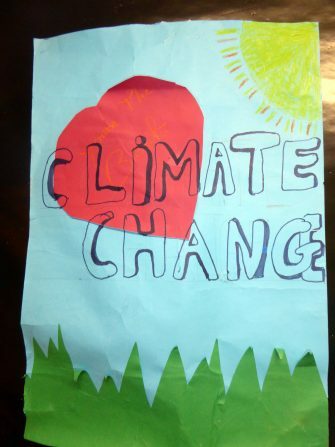 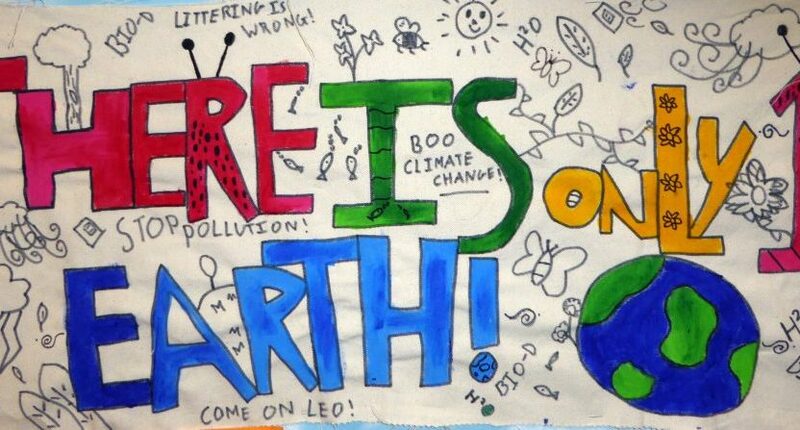 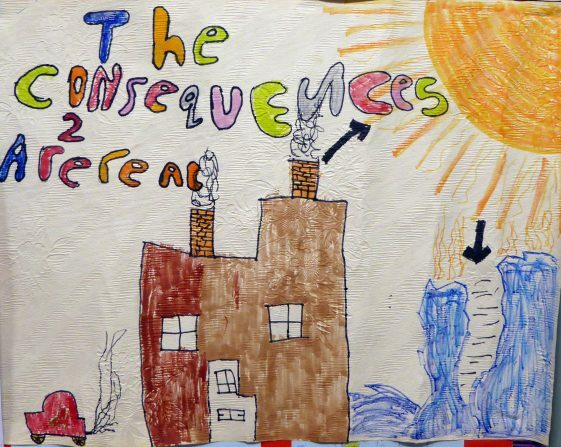 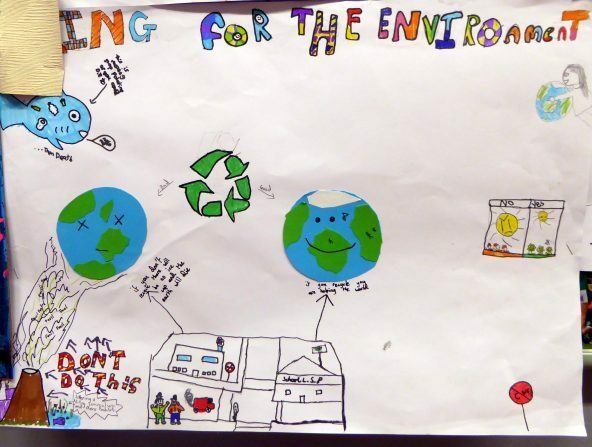 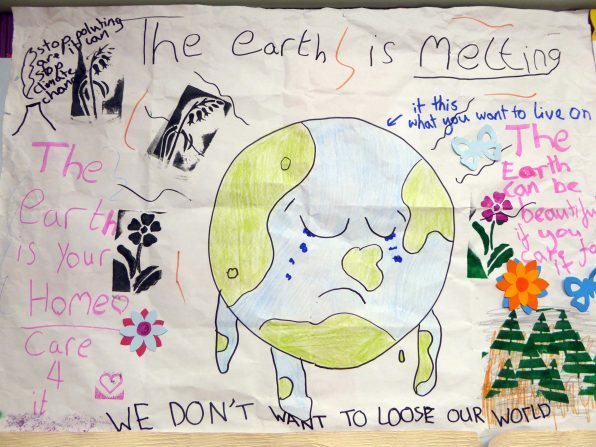 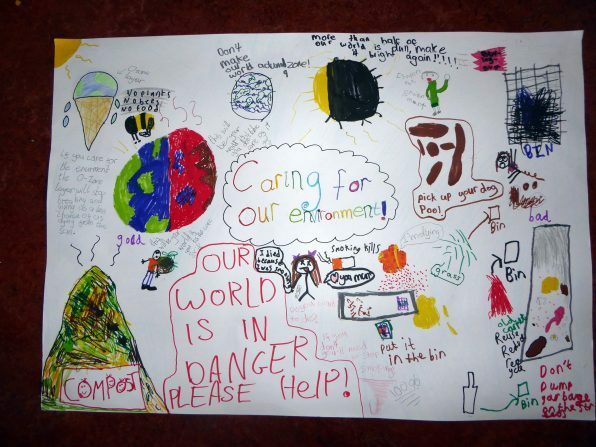 The children did a great job making posters from recyclable materials from home and school. 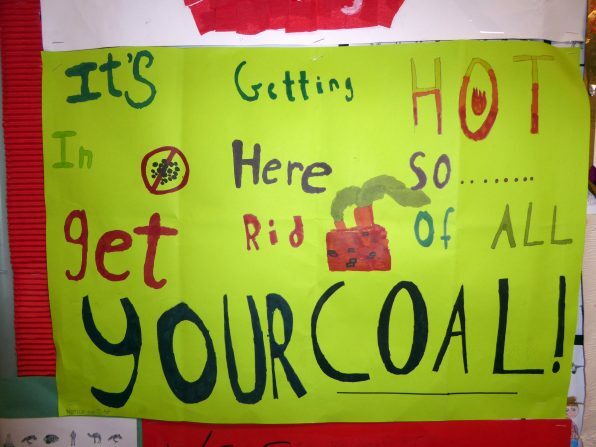 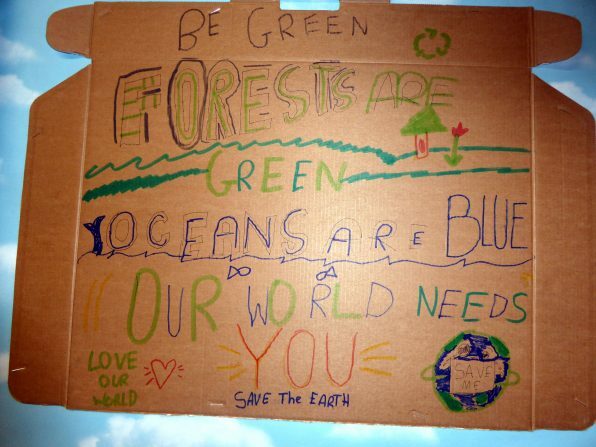 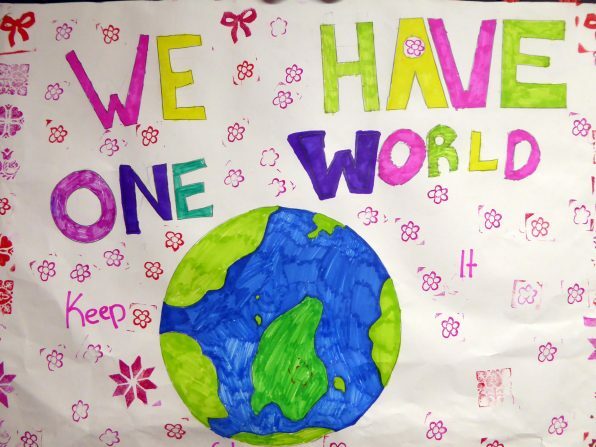 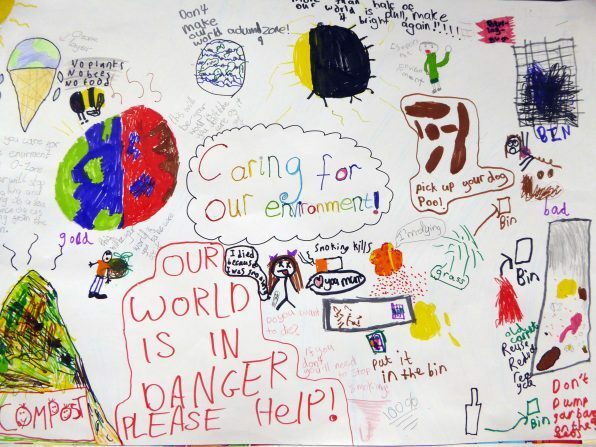 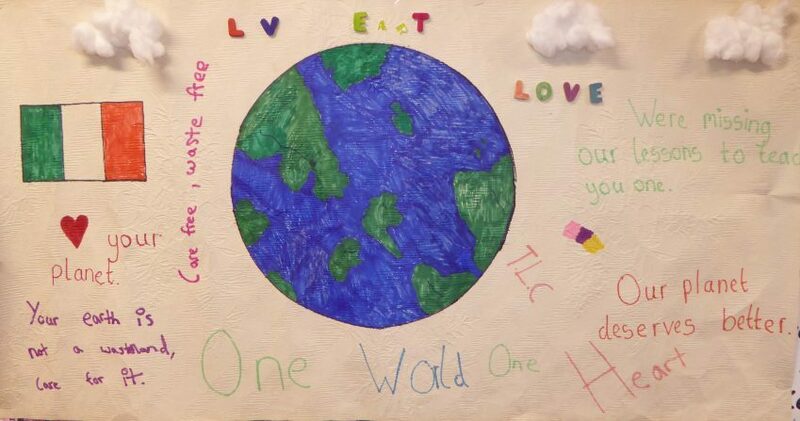 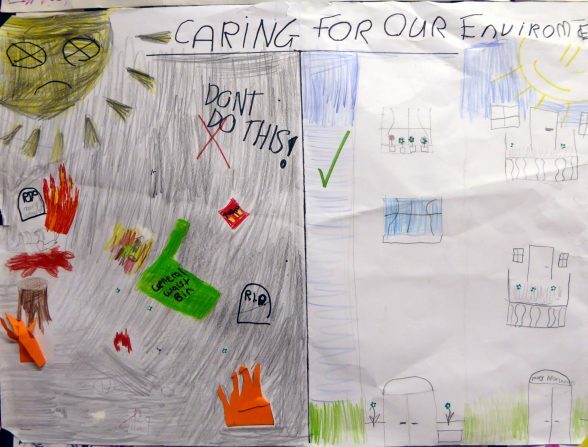 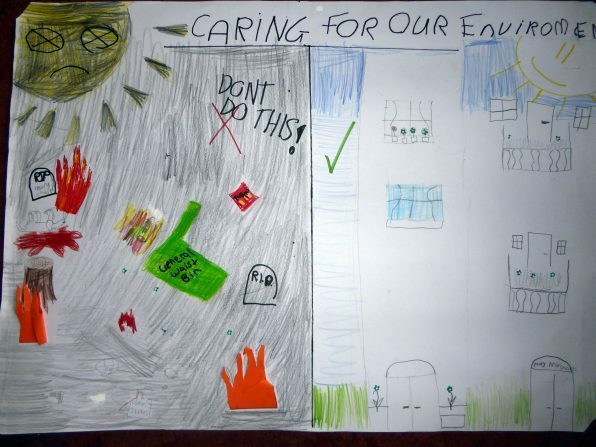 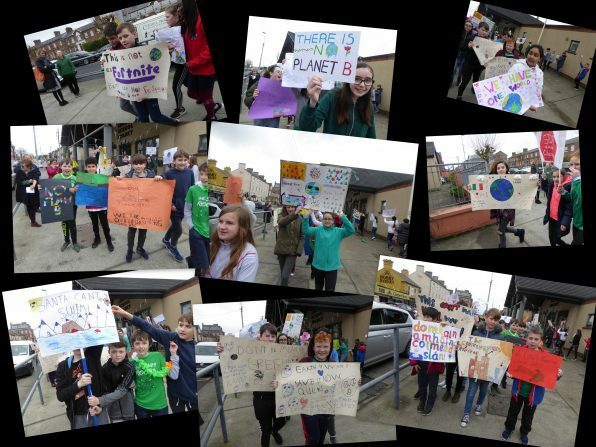 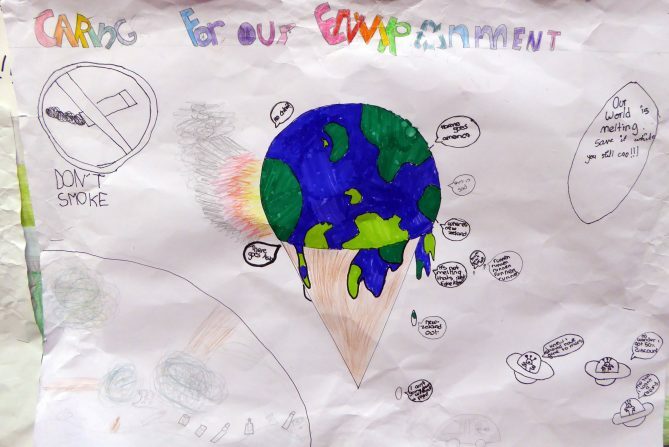 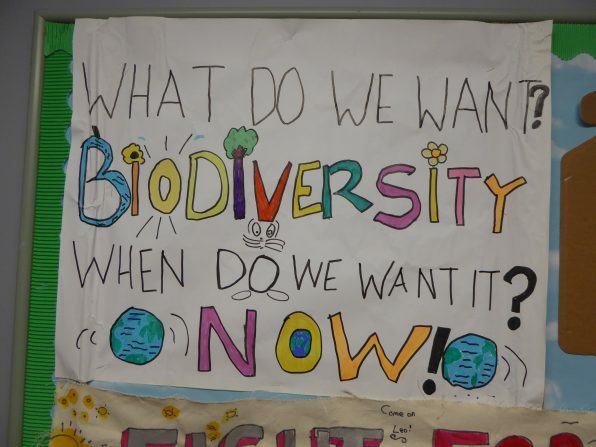 When protesting our pupils sang all our Green School Mottos that we have created over the past 11 years – our Waste and Waste Management Motto, Energy, Water, Travel and our most recent motto for Biodiversity (to the air of Radioactive by Imagine Dragons). 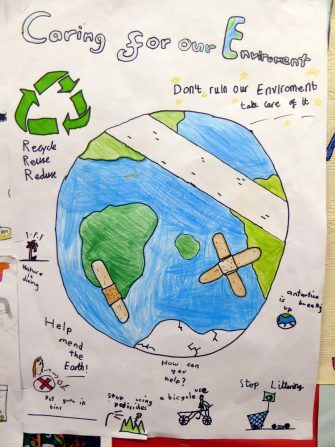 Refuse, Reduce, Reuse and Recycle, turn off electrical appliances/lights etc when not in use, save water, walk/car-pool/park ‘n stride/ take the bus/cycle/scoot, waste free lunches where possible, reusable water bottles – no single use plastic. 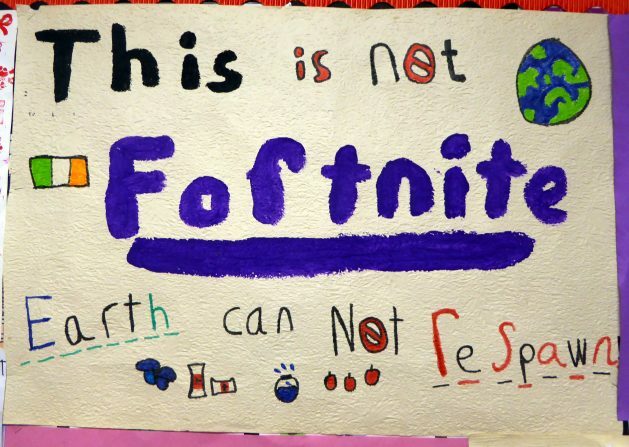 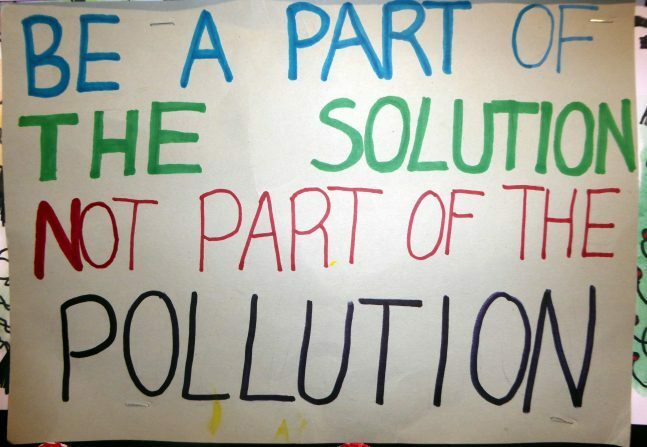 It is great that we could join in the protest, but we need to back up these actions by being environmentally friendly global citizens every day, not just on a protest day.